Who says that you can't find authentic German food outside of Germany? 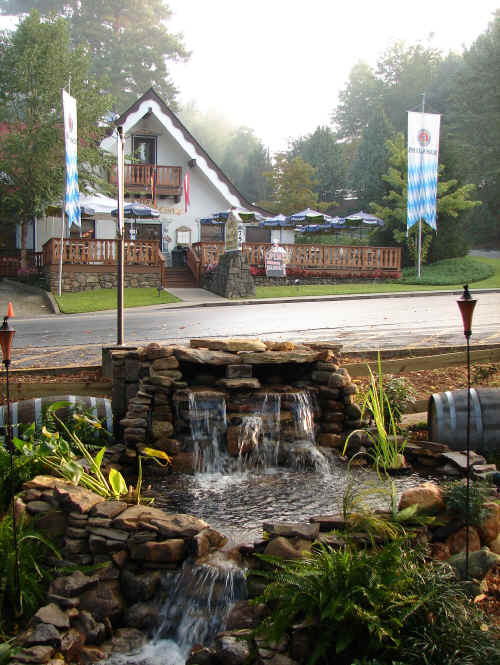 We've got some of the very best and most flavorful Bavarian fare, right here in the heart of northern Georgia! Helen's own Hofer's Bakery & Cafe is well known for its long history of quality German baked goods, sweets, treats, sandwiches, main dishes, and so much more. Located on Main Street, Hofer's is a great pace to start your day off right, or to stop and recharge after a day of exploring the Alpine village and its many shops and attractions. Whether you're in need of a quick treat or a hearty meal, Hofer's Bakery & Caffe won't disappoint. States from Schwabach Germany in the late '50s. The pair found success in opening a chain of European-style bakeries in Atlanta, opened their own bakery in 1973, and quickly gained popularity and recognition as their baked goods continued to win awards. 18 years later, the Hofers decided to open a second location right here in Helen - the perfect location for a Bavarian-themed eatery. In addition to offering baked goods, this shop (which is housed in the former 1st National Bank of White County) also features a cafe. Today, the business is owned and operated by Horst and Gerda's son, Ralph, but their tradition of excellence and authenticity lives on. All breads are baked fresh in a sone hearth oven, and only the finest quality ingredients are utilized. Hofer's Bakery & Cafe has continued to be recognized throughout the years, and has been awarded the certificate of excellence from TripAdvisor.com for several years running. 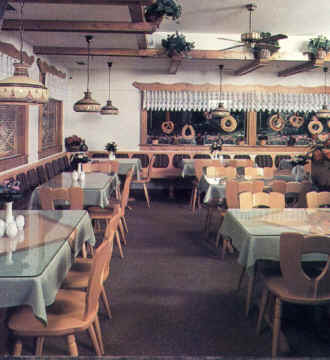 Hofer's is family-friendly, and features an outdoor dining area (biergarten) that is pet friendly. Drop by to enjoy delicious eats between 8am-5pm daily. stick with French Toast, a Belgian Waffle, Biscuits 'n Gravy, or scrambled eggs and ham. For a Bavarian-style breakfast, though, be sure to ask about Hofer's German homemade potato pancakes, or Apfelkuchle, which features sliced apples dipped in batter, pan fried, sprinkled with cinnamon sugar, and topped with whipped cream. Soup & a sandwich are always ideal for a mid-day meal. During lunch, fill up on German noodle soup or Lisensuppe and a sandwich of your choosing. The classic German Rueben sandwich is Hofer's best selling item, but many visitors also enjoy sinking their teeth into a yummy bratwurst, a Poorboy, hot pastrami, or Schnitzel Delight which is a grilled pork cutlet with lettuce on fresh rye bread. Enjoy your meal with fresh potato salad. Hofer's also offers a mouth-watering menu of dinner specials. The sausage sampler is a popular pick, as is Bavarian pork roast, bratwurst and knackwurst, Hungarian goulash, and Wiener Schnitzel. ts, breads, and other baked good items are also available. During the warmer months of the year, Hofer's Bakery & Cafe takes advantage of the weather and provides live entertainment for those who are taking in the fresh, mountain air in the biergarten. On most weekend afternoons and evenings you'll be able to sip on an ice cold beer or glass of wine while tapping your toe along to live local music. Be sure to check the Hofer's Facebook page or call in advance to verify local artists and performance times. 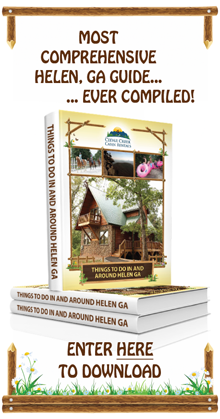 Planning on taking some homemade German bread or other baked goods back to your cabin? Plan on ordering some of Hofer's very best items online so that you can continue to enjoy them when you get back home? There's nothing like being able to enjoy warm, oven-fresh goods. That's why Hofer's sells custom ceramic bread warming plates. Not only do they make bread taste that much better, the plates are also a great souvenir or gift item. Which other German restaurants are you planning to visit during your trip to Helen? Let us know and we'll be happy to write a review to help you find the best eats in town.